Munich - Four clubs floundering at the wrong end of the Bundesliga table are in action this Saturday. While VfL Wolfsburg seek for their first home victory of the season against Greuther Fürth, winless duo 1. FSV Mainz 05 and FC Augsburg convene in Pfalz. Elsewhere, SC Freiburg travel to Fortuna Düsseldorf. Following further investment in the playing squad over the summer, big things were expected of Felix Magath's Wolfsburg team this season and things seemed to have got off to the perfect start when Bas Dost scored an injury-time winner away at VfB Stuttgart on Matchday 1. Since then, however, the Wolves have found their hunting ground somewhat bare. Their most recent league game yielded a rather drab 0-0 draw with FC Augsburg, with creative midfielder Diego looking short of inspiration and support in the midfield. More of a concern, however, will have been the embarrassing 4-0 loss at home to local rivals Hannover 96, the wounds of which remain fresh. Greuther Fürth have been thrown in at the deep end in their maiden season in the German top flight, having already faced FC Bayern Munich and FC Schalke 04 in the Trolli Arena and losing on both occasions. Mike Büskens' team have a job on their hands to avoid relegation, but as they remain a relatively unknown quantity in the Bundesliga, they may just find that teams underestimate them. The Clover Leaves will also be confident after sneaking a 1-0 win over 1. FSV Mainz 05 in their last away game. 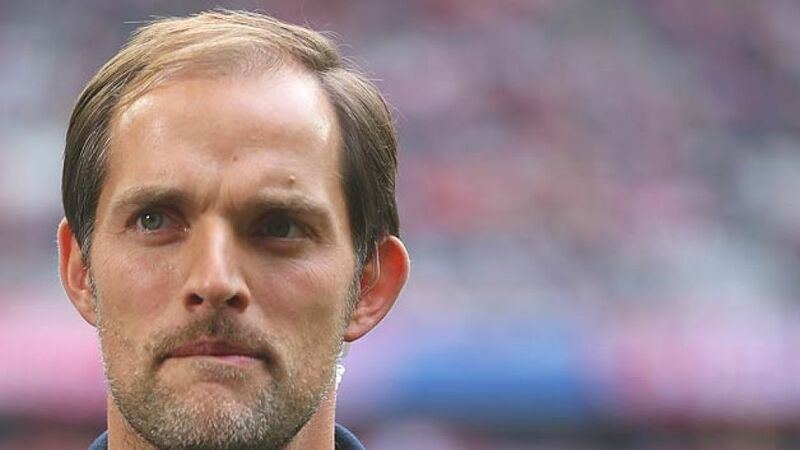 Thomas Tuchel's Mainz are another side that have struggled this season with just one point on the board courtesy of an away draw at SC Freiburg on Matchday 1. Last week's 3-1 defeat to Bayern may have been written off, but results such as the 1-0 defeat at home to Fürth will have to be avoided if the team are to achieve their remit of staying in the Bundesliga. Encouragingly for them, the 05ers have Hungarian striker Adam Szalai back to fitness and back in the goals after his penalty at Bayern. Now the onus is on strike partner Eric-Maxim Choupo-Moting to find his form and help the club climb the table. Augsburg have also found life difficult so far and already seem in danger of succumbing to 'second-season syndrome.' Markus Weinzierl is finding previous coach Jos Luhukay a tough act to follow and the team look desperately short of goals, with star striker Aristide Bance yet to find the net in the league. They do have the psychological advantage of having beaten Mainz home and away last season, though. It may be a tad premature to speak of this as a six-pointer, but the losing coach will certainly feel the heat with these two clubs currently next to one another in the table. While the likes of Borussia Dortmund and FC Bayern Munich may have stolen the headlines this season, no less impressive have been the achievements of Fortuna Düsseldorf. Back in the Bundesliga for the first time in fifteen years, Norbert Meier's side are unbeaten in three games and have already taken points off rivals Augsburg. Fortuna are also the only side yet to concede a goal after three Matchdays, a feat last achieved by 1. FC Kaiserslautern in the 1996/97 season, the year that the Red Devils became Bundesliga champions. Düsseldorf's ambitions may be on a slightly smaller scale, but they are certainly going about their business in a very promising way. Their opponents this week will most certainly put that clean-sheet run under strain. Freiburg bounced back from Matchday 2's defeat at Leverkusen in style, creating a host of chances at home to 1899 Hoffenheim last weekend and converting five of them, with new signing Max Kruse particularly impressive. Christian Streich has forged a reputation for himself as a coach who gets the best out of his players and one whose teams are competitive from the first whistle to the last. After having shot up the table in the second half of last season, they will see new boys Düsseldorf as definite potential prey.